Well, at long last, it's out. 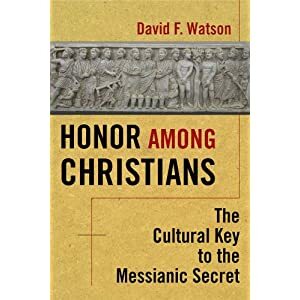 Honor Among Christians is my take on the so-called "messianic secret" in Mark. I'm trying to answer the question, "How would ancient Mediterranean people have heard these stories in Mark in which Jesus attempts to conceal his deeds and identity?" In 1901 William Wrede wrote a book that we call in English The Messianic Secret. Since that time, the language of "secrecy" has done a lot of heavy lifting in Markan scholarship. Ancient people, however, understood secrecy rather differently than we do. They also understood issues such as fame, power, great deeds, and prestige differently than we do. More specifically, such issues were governed by the values of honor and shame. My goal in this book is to examine the passages associated with the messianic secret in light of these ancient Mediterranean values. 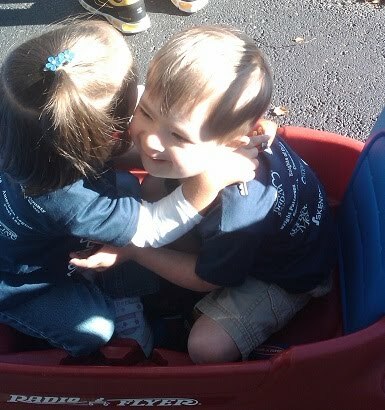 My family and I participated in the Dayton area 2010 Buddy Walk yesterday. The Buddy Walk is an event that occurs all over the country to raise awareness and promote inclusion of people with Down Syndrome. There were several folks from the UTS community there who are not directly affected by DS but who came in support of the event and cause. It was a great event, and if you want to learn more about it, click here. 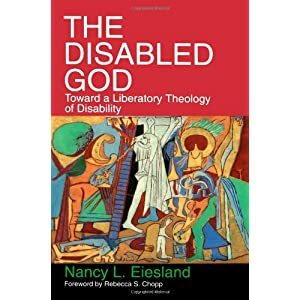 This work began as Nancy Eiesland's master's thesis, but eventually became a classic work in the area of theology and disability. At less than 120 pages of text, it functions essentially as a programmatic call to rethink assumptions, practices, and theological models that are harmful to persons with disabilities. The actual constructive theological proposal is very brief, but the issues that Eiesland raises continue to give rise to other important theological reflection and proposals. Nancy Eiesland died at age 44 from cancer. One wonders how her work would have continued to evolve over another, say, thirty years of writing and reflection. Nevertheless, she has left us this very important work which has become essential reading for all who care about the relationship between people with disabilities, God, and the church.